Plan to snack an hour or two prior to your workout, and opt for a snack that includes both carbohydrates and protein. The carbohydrates give you the energy you need to fuel your muscles while the protein helps you rebuild and repair your muscles. Keep in mind that this is a recommended time frame – you know what’s best for your body. If you snack an hour before a workout and feel like that wasn’t adequate time for digestion, try two hours next time. Snacks that you should avoid eating before a workout are anything rich in fiber and fat, which can cause digestive discomfort (leafy greens, high-sugar protein bars, sports drinks or spicy foods). These foods are often associated with bloating and gas, which aren’t fun ailments to contend with during a workout! If you lack proper hydration, your performance suffers. In fact, an individual that experiences a loss of just 2 percent or his or her body weight in fluid can experience a decrease in performance by up to 25 percent. 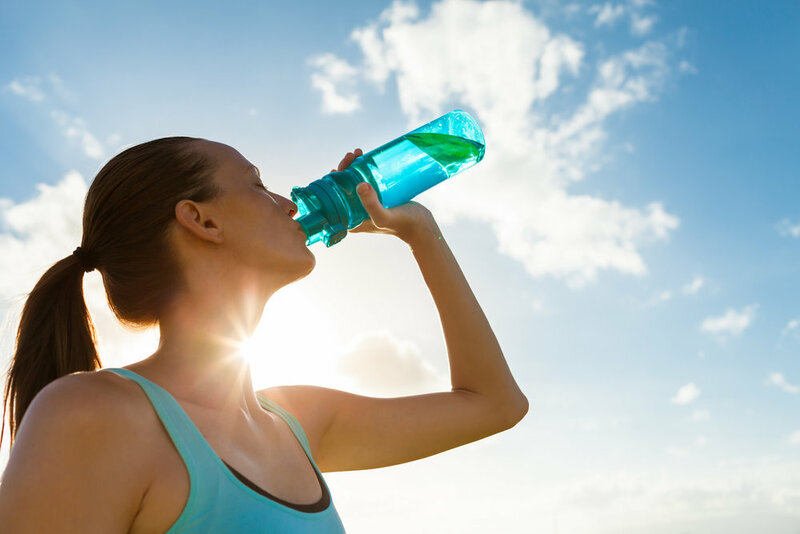 Drinking water before a workout can be an easy step to forget, but the impact is immediately felt. Consume 2-3 cups of water prior to your workout. During your workout, aim to drink 8 ounces (1 cup) of water for every 15-20 minutes of workout time. After you are done working out, rehydrate with 2 to 3 cups of water for every pound you lost during the workout. Not in the habit of weighing yourself before and after a workout? Make sure you rehydrate with several cups of water. Experiment with snacks to figure out what works best for your body. It took me a few mishaps to determine what worked for me, but now I’ve got it down. You will, too. If you are ready to exercise but not sure what to do, check out some of my free workouts. After you are done working out, rehydrate with 2 to 3 cups of water for every pound you lost during the workout. Not in the habit of weighing yourself before and after a workout? Make sure you rehydrate with several cups of water after your workout.